Please click on an image to zoom. The unique POD locker range offers a range of lockers from 7 individual compartments up to 66 individual compartments in one well designed and compact circular locker. With the option of a rotating base which allows you to install the POD locker in the corner of a room or in any compact space the unit can be rotated to access all lockers. 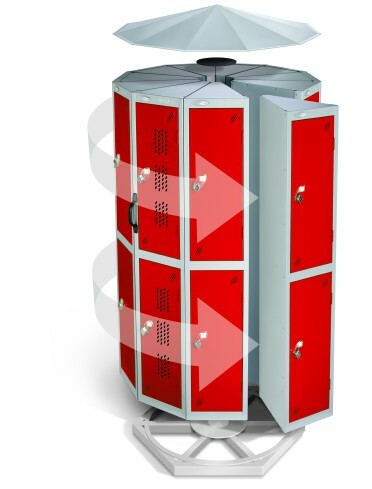 With a choice of lock options, colours and ancillary products this truly is an innovative and versatile locker product.